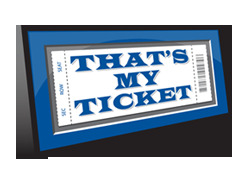 In addition to our wide offering of ticket displays and ticket related products, That's My Ticket offers sports fans and collectors the ultimate selection of display cases. 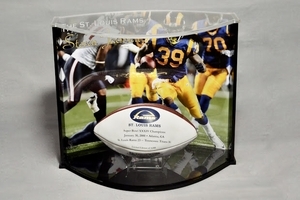 Whether you're looking for a high-end shadow box or a simple mini-helmet display, we've got it. These displays will make your collection shine. It's time to get your killer autographed items out of your closets and onto your walls. Get those signed goods out from under your bed and onto shelves. We offer cases for basketballs, tennis balls, golf balls, footballs, and pucks. There's a wide assortment of cases for bats and hats, helmets and jerseys as well as NASCAR and boxing collectibles. You've got the stuff, let That's My Ticket help you show it off.